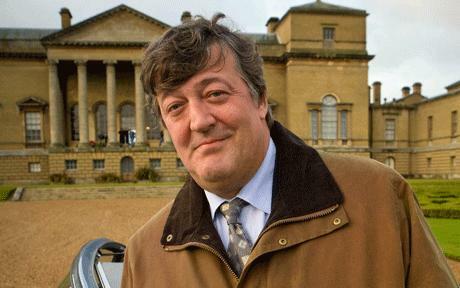 I really want to like Mr. Fry, but the moral equivalence and moral relativism stuff kills me. The French Resistance blowing up a restaurant filled with Nazis and Al-Queda blowing up a restaurant filled with Jews are NOT the same thing…not even close. Morals are NOT “…another word for customs”. And he pretty much expressly says that anyone who disagrees is a nutty right-winger…gives us liberals a bad name indeed. But then again, I suppose I could take him at his word and take his claim of “no absolutes” to also apply to that phrase…”there are no absolutes…including the one I just uttered”.